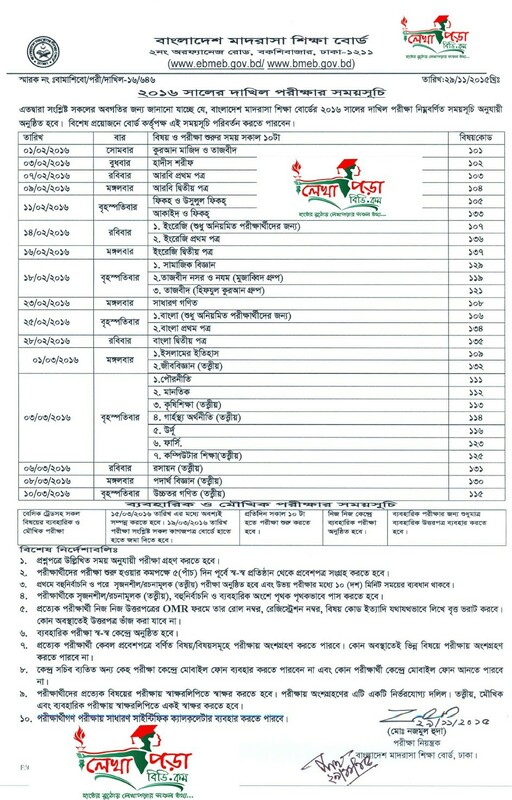 SSC Exam Changed Routine 2016: Are you looking for Secondary School Certificate (SSC) Exam Routine 2016 of All Education Board in Bangladesh? This year SSC Equivalent Exam will be starting from 1st February 2016. SSC, Dakhil, Vocational & Dakhil Vocational exam routine 2016 download link as pdf is available in this post. Last year SSC Exam schedule 2015 has been changed for 15 times. We have updated the changed schedule of SSC Exam 2015 on our website. We will be also update the SSC exam routine 2016 here if any exam date will reschedule. So keep visiting this post regularly to get the Last update of SSC exam Routine 2016 of all education boards in Bangladesh. I have to need this message. When will SSC result 2015 ?